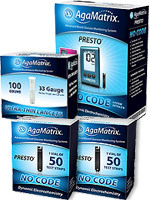 Aga Matrix decided in 2012 to sell their meters and test strips primarily under retail store brands such as Kroger supermarkets and Target department store. The cheapest source that I have found is from American Diabetes Wholesale. They have a great package deal. Instead of buying 100 test strips for $21.06, for an extra $2.19 you can get an extra 100 lancets and an extra meter kit. The meter kit comes with not only the meter but 10 test strips, 10 lancets, a lancing device and a bottle of control solution. When you re-order and don’t need the extra meter, just give it as a gift to someone or donate it somewhere. It might seem kind of weird getting a glucose meter as a gift but it will show that you care. Don’t buy the Premium model! The meter itself has more bells and whistles as far as data management goes but the strips are so much more expensive. At Kroger they were $108 for 100 vs. $36.99 for the Presto strips. Why so much more expensive? I called Aga Matrix about it and asked a sales rep. They said that both strips use the same technology and perform the same. But they are not interchangeable. They mentioned something about the Presto strips having a small notch at the top where it fits into the meter. It sounds like they are probably the same strips but they made it so they can’t physically fit in the different meters. Why would they do something like this? Most likely it has to do with insurance. 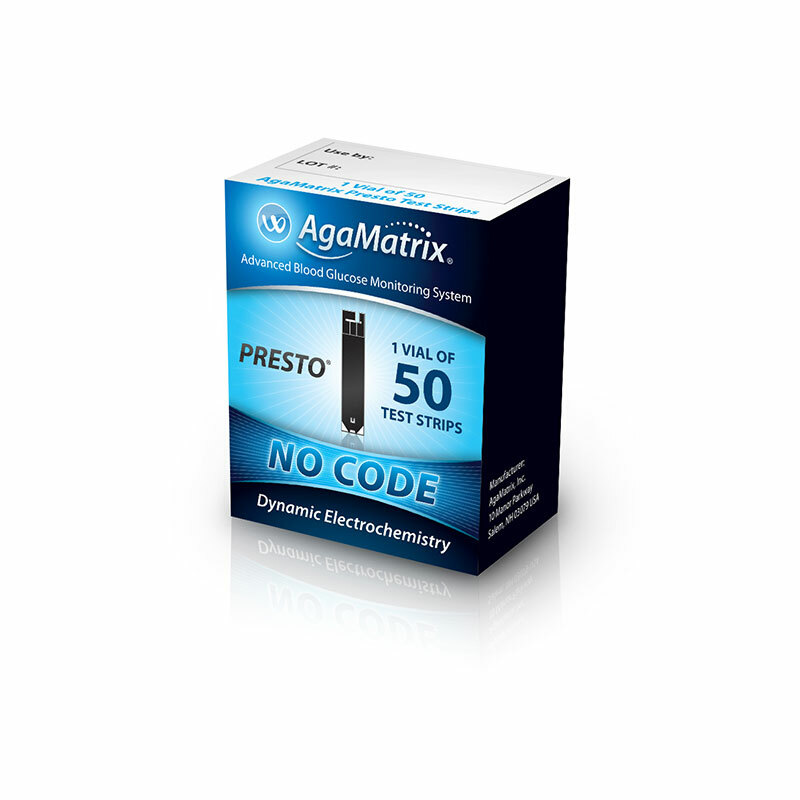 If you have insurance, you’ll be sold the Premium model with the more expensive test strips. Not because the strips cost more to make or are any better. Primarily because they know that if you aren’t paying, you don’t care about the price. Isn’t our medical system wonderful?